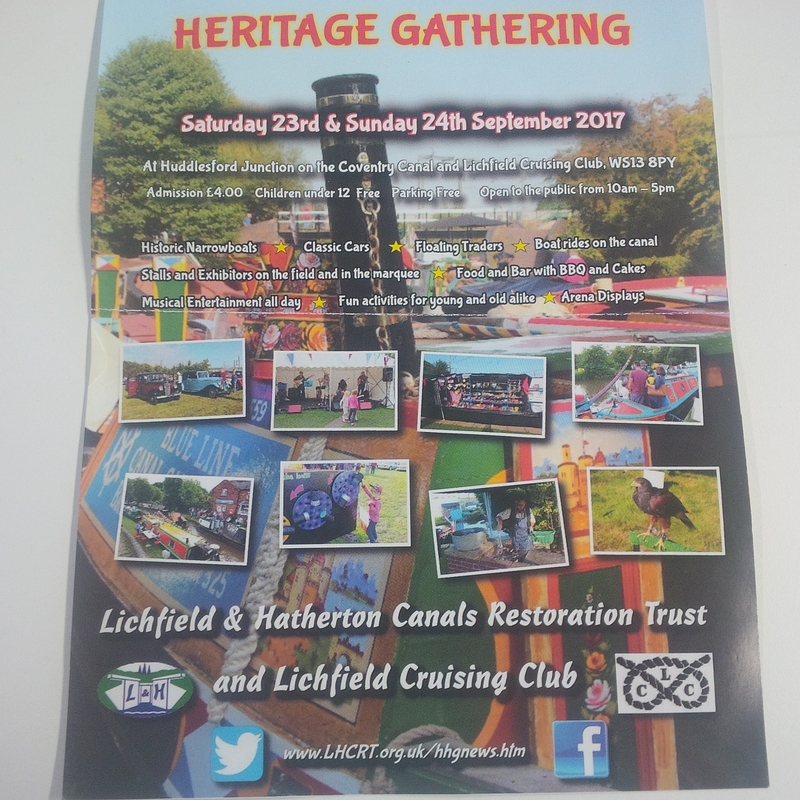 Located at Huddlesford Junction on the Coventry Canal and Lichfield Crusing Club WS13 8PY. Admission is £4.00 with free parking. Open to the public from 1000 to 1700 on both days.